After netting PUBG on console, with a successful preview release, Microsoft is sitting on another IP that lends itself to a potential Battle Royale mode. 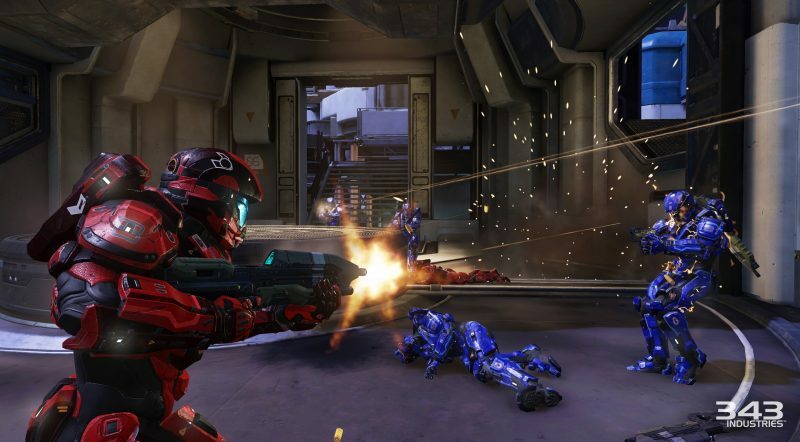 Halo 5 is ripe for the picking (with a few necessary tweaks). The gaming industry saw an explosion in a particular genre in the year of 2017. Battle Royale (BR) games took off with the release and subsequent exponential growth of Playerunknown’s Battlegrounds (PUBG). The game, which released into early access on March 27th, 2017, sold over 15 million copies by year-end. As PUBG continued to sell copies and dole out chicken dinners, several other developers chose to try for a piece of the BR pie. GTA Online released a BR mode (motor wars), while Fortnite quickly released (and very successfully iterated and updated) their own BR mode for free – beating PUBG to console, and very quickly garnering millions of players. However, during all this, one major player in the gaming space wanted in on the BR genre badly, and made a big play to do so. During their E3 conference in June of 2017, Microsoft announced they partnered with Bluehole to bring PUBG to console exclusively. They caught their white whale, but might they still be sitting on a better option? 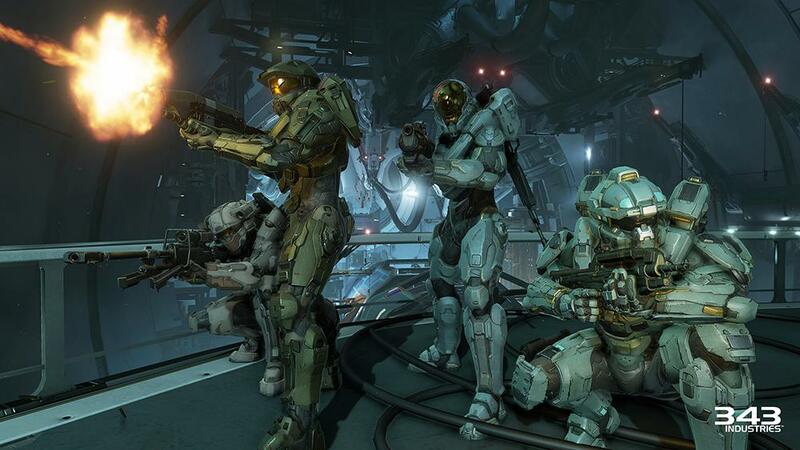 Halo 5 was supposed to be a massive console seller. Long awaited, heavily hyped, and highly marketed, Microsoft was counting on 343’s second Halo game to light the world on fire. It didn’t. Between a lukewarm campaign hardly featuring the iconic Master Chief (2 missions, ONLY TWO OF THEM), and a largely P2W loot box system in its shiny new Warzone mode, the game turned a lot of people off. However, Halo 5 might be the perfect candidate for a BR mode on console. There are certainly major issues that would need to be addressed, but the framework, marketable IP, install base, and assets are largely in place to create a successful BR mode for the game. There are three main points to be discussed when it comes to a Halo 5 Battle Royale mode: Current Install Base, Map/Environment, and Gameplay Modifications. With millions of players already owning access to Halo 5, the potential for a Battle Royale mode is massive. Halo 5, while not a massive success, still allegedly sold just under 5 million units (take that number for what you will, coming from vgchartz). Granted, the title was released towards the end of 2015, so we’re talking about a more than 2 year old game. However, the game is also in Xbox Game Pass, which was bundled with many Xbox consoles sold during the holidays, and which has performed well, based on Microsoft’s quarterly fiscal reports. Considering these two points, if Xbox gamers already have access to Halo without having to spend additional dollars, and a BR mode is announced, there is massive potential to get players to check it out at the very least. The existing Warzone maps are a good start to building a map that is the proper size for a battle royale mode. Playing through the campaign, anyone can see the immense amount of work that went into creating reusable assets and structures. One of the main requirements for adding a BR mode to Halo 5 would be a large enough map that 100 (or 50, you could start with 50) players don’t feel cramped together, with strategic gameplay ceding to pure chaos. You don’t need a map the size of PUBG to make a successful BR game, Fortnite has proven that. 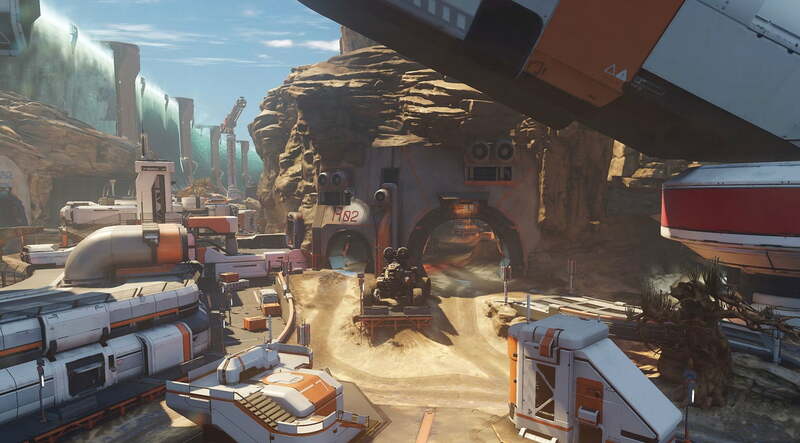 That being said, even the biggest Warzone maps are far too small for a full-sized round of this theoretical new mode. Microsoft and 343 would need to temporarily peel off resources from (what I’m assuming is) development on Halo 6 to build at least one map large enough (and not lazily slapped together) for the flow of a BR game to take place. In creating the map, fixed loot spots (with randomized weapons and ammo) would need to be programmed, as would some kind of power weapon system (similar to crates). Weapons could start with a half magazine or full magazine of ammo (similar to Fortnite), or devoid of any ammunition (like PUBG), with the player having to scavenge for bullets to fight with. Halo 5 already has a timed spawn system in place for power weapons, which could be largely reused (spitballing example: System picks one of 1000 fixed power locations – or just random on the map – and an audio cue chimes notifying nearby players there will be a power weapon in the vicinity. A timer begins, and for players within X meters, the timer is visible. Once the timer hits zero, a random power weapon spawns with fixed ammo). One other problem to solve in this would be the ammo system in the BR game mode. In other BR games, ammo is shared across multiple weapons, however in Halo, every individual weapon has its own ammo set, making looting more complicated. Ammunition drops would need to be grouped by weapon type or size (human vs promethean, small/medium/large, etc.) to simplify finding and maintaining a reserve of ammo throughout a game. Finally, some kind of damage field (like the circle in PUBG) would need to be implemented on the map to push combatants together. To make a BR mode work in Halo 5, some design decisions would need to be made, and changes would need to be enforced for the specific game mode. There’s no need for a backpack or loot system (similar to Fortnight), as the only loot in Halo includes weapons, ammo, and maybe abilities. There wouldn’t be any need for additional armor or anything along those lines. However adjusting the shield regeneration mechanic would need to be considered. In existing BR games, there’s no wait-and-regen system in place, and one way to potentially get around this would be to have batteries or something along those lines to heal a player’s shield. In Halo fashion, this could start a regeneration, which may be halted if a shot is taken. Halo combat has always been about speed and precision. When someone dies, they’re spawned right back in the action in current competitive games; there’s no bleed-out or revive mechanic. In many team modes in popular BR games, there’s the ability to revive a teammate either in the middle of a fight or after finishing off opponents. Due to Halo’s system, this would require a massive amount of development to overhaul, so instant death is unfortunately the only real option. Melee damage would need to be somewhat nerfed, as the current 2-hitter-quitter system seems a bit much. While assassinations would work in their current state, if a player is meleed twice, that shouldn’t spell death for them. Figuring out a loot drop system would be a lot trickier for Halo than a lot of the other changes described above. Currently, upon death, a player’s primary weapon drops, along with all the ammo that player had. The ammo isn’t represented by anything ancillary to the weapon, it’s stored in the actual weapon object itself. At the very least, both weapons the player has would need to drop, allowing victors of fights to salvage whatever ammo they can from their victims. Halo has a great combat engine in place that would lend itself well to a last-man-standing mode, especially on a grand scale. It’s shooting mechanics are fantastic and designed directly for console (unlike the mess that PUBG for Xbox One is). There are tons of assets that could be reused in making a map, and with some gameplay tweaks, Halo 5 could contain a very fun BR mode. The game already has a multi-million user install base, and if done properly, 343 could monetize further with aesthetic-based loot boxes, or at the very least, drive interest back in the Halo franchise (for Halo 6, or whatever the next project in the pipe is). A Halo 5 BR mode has a lot of potential, and a ton of upside, as it seems the genre is here to stay.